Mr. Tee Kim Chan was re-appointed to the Board of ICB Islamic Bank Ltd. on 18th April 2018. His first appointment as a member to the Board of Directors was on 23rd November 2009. 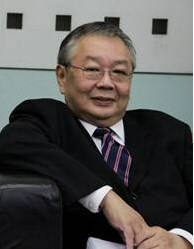 Mr. Tee was admitted to the Honorable Society of Lincoln’s Inn 1978 and enrolled as an advocate and solicitor of the High Court of Malaya in 1979. He is currently practicing as an advocate and solicitor at his own law firm. His main practice areas include general litigation and corporate law.